I skipped the past couple months' BarkBox reviews but just know that they were great and we loved them! 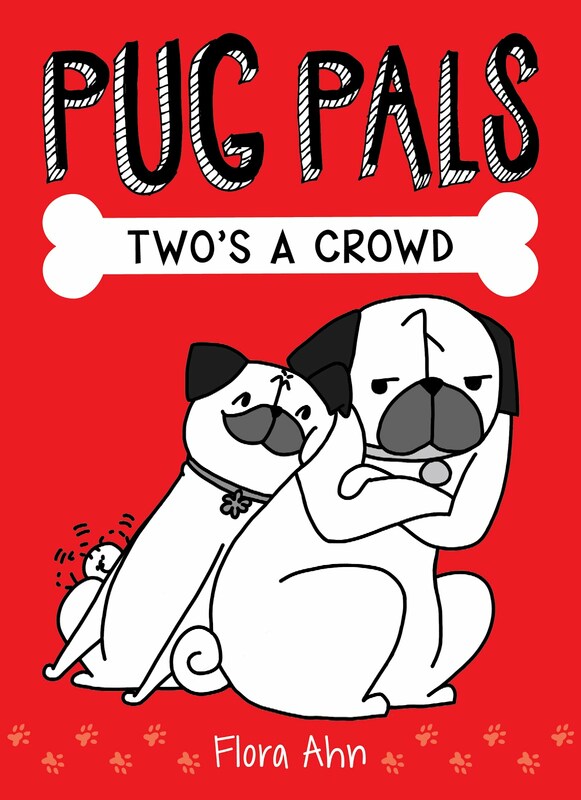 And now we jump forward to January and I can use today's snow day to catch up on my poor neglected Lil Smug Pug blog. 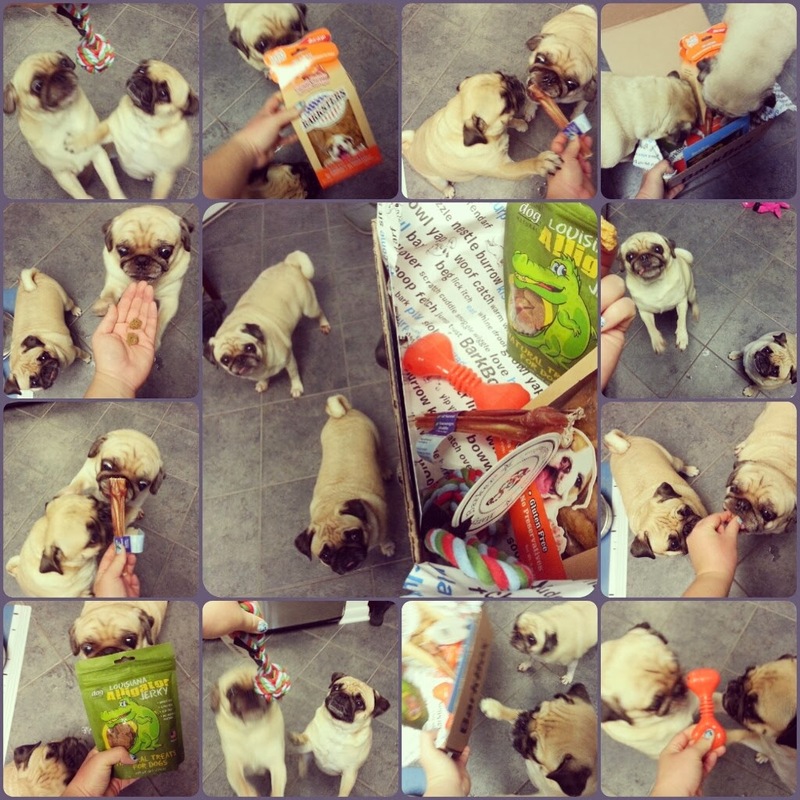 Loving Pets Barksters sweet potato and beef krisps - The girls loooooved these crisps! They're a bit crumbly so the pieces in the bag are of varying sizes. These are made in the U.S. and are wheat and gluten free. The exterior box had the most stubborn and stickiest glue so I ended up having to remove the plastic bag inside (which isn't sealable) and putting it in a ziploc. 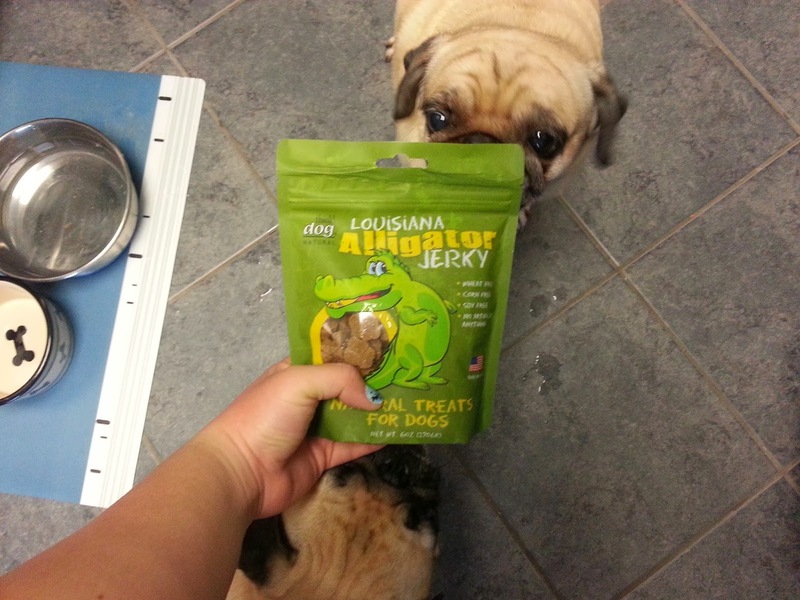 Think!dog Louisiana Alligator Treats alligator jerky - This is the stinkiest bag of treats I have ever smelled. Of course this meant that the girls loved it! I tried putting the bag in a ziploc bag but it still stunk up my entire kitchen so I ended up having to get rid of the bag. If you can handle the stink, these are made in the U.S. and sourced from sustainable farms and fisheries in Louisiana. The reats are grain free as well. 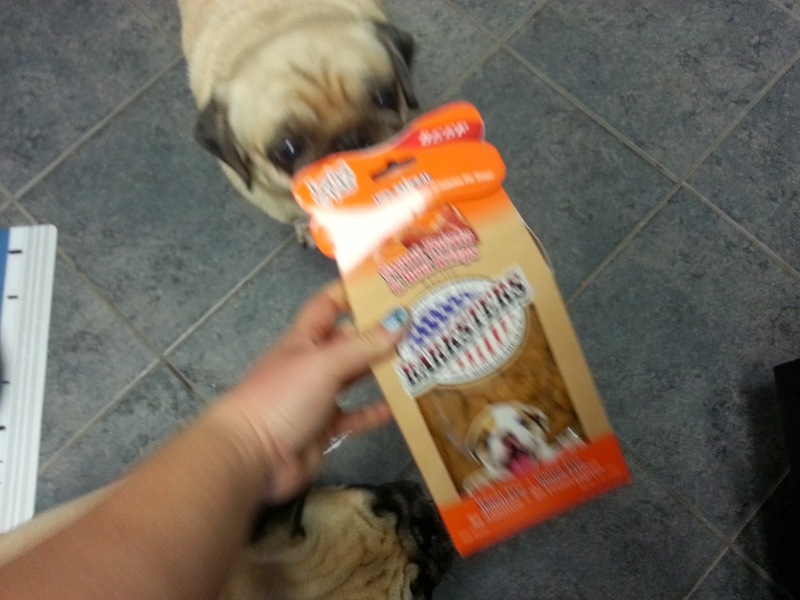 Barkworthies bully stick - Is there any dog that doesn't love bully sticks? 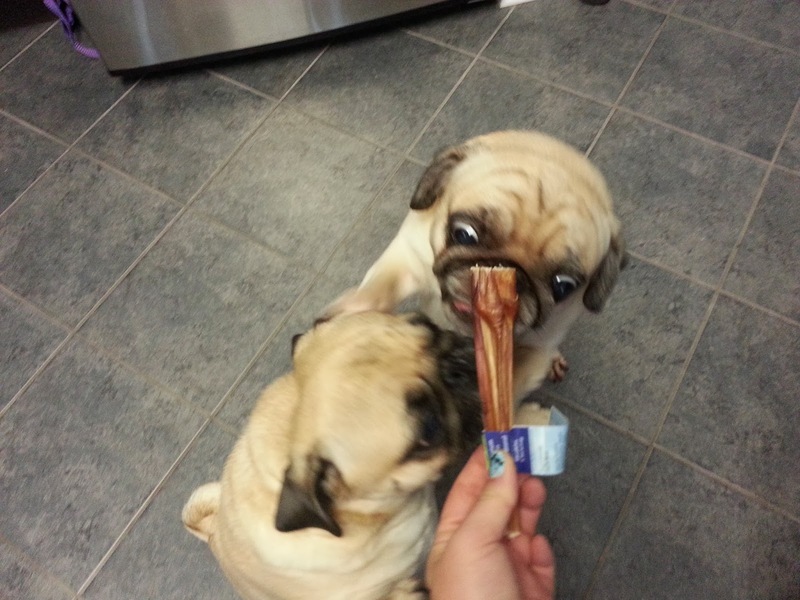 I had one saved from a previous BarkBox and so I was happy to get one in this month's box so I'd have one for each of my pugs! 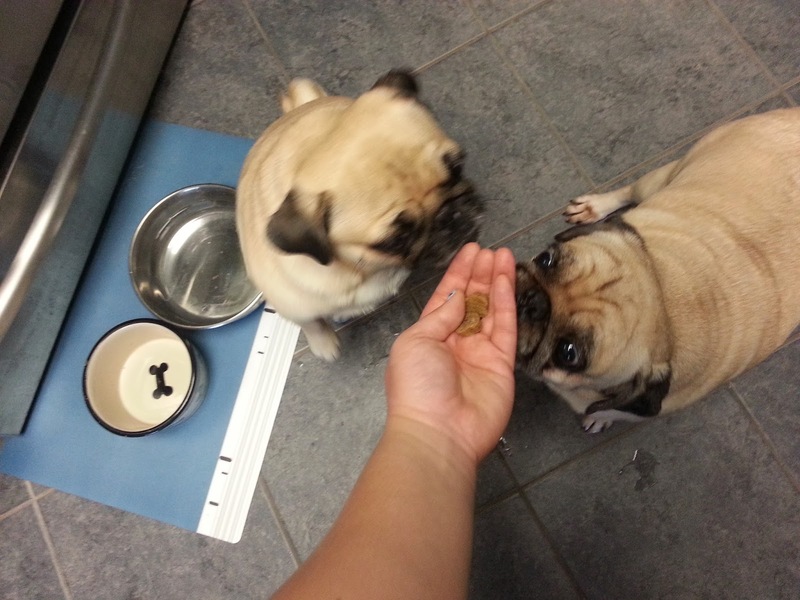 I gave them to Sunny and Rosy while I was cooking on Sunday so they were happily busy chewing away. 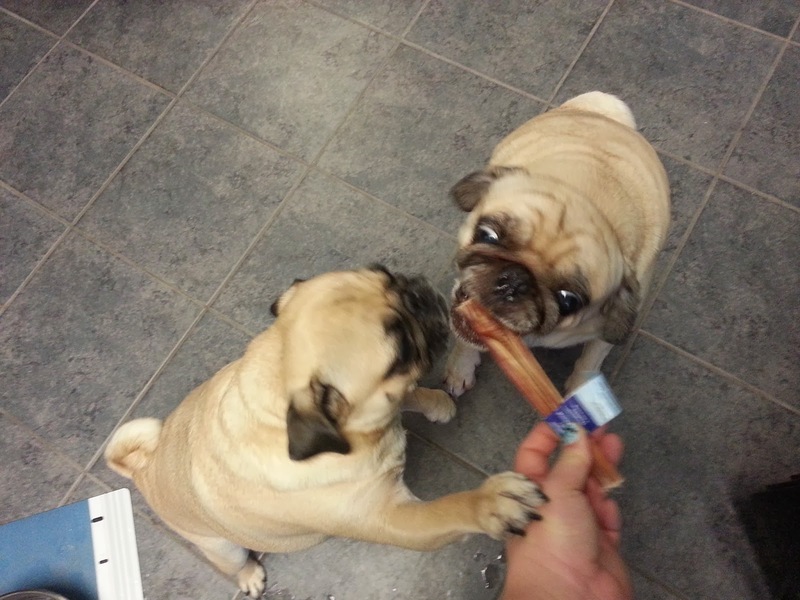 I love these bully sticks because they're not as stinky as others out there. Harry Barker cotton rope tug and toss dog toy - Sunny's not really a rope toy kind of dog and it always takes Rosy a while before she warms up to a new one so they haven't been playing with it much recently. 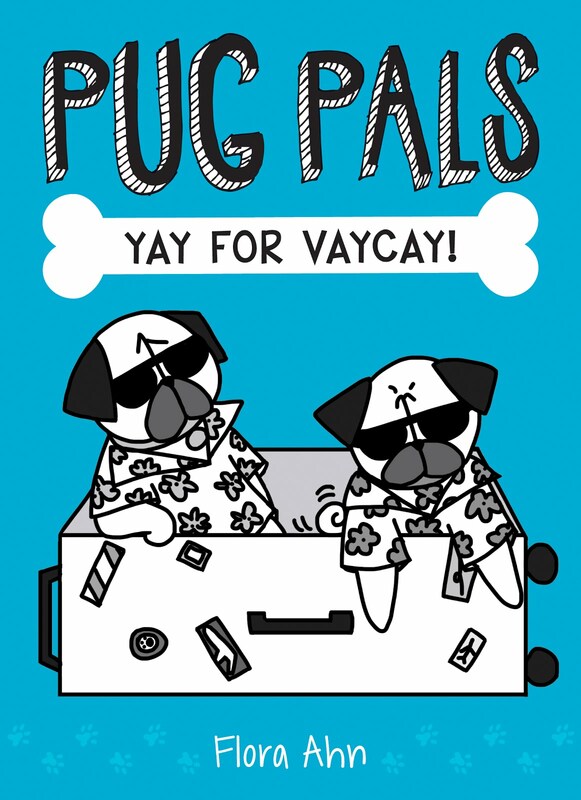 But I bet Rosy will soon. I love the colors in this toy - so colorful and pretty! 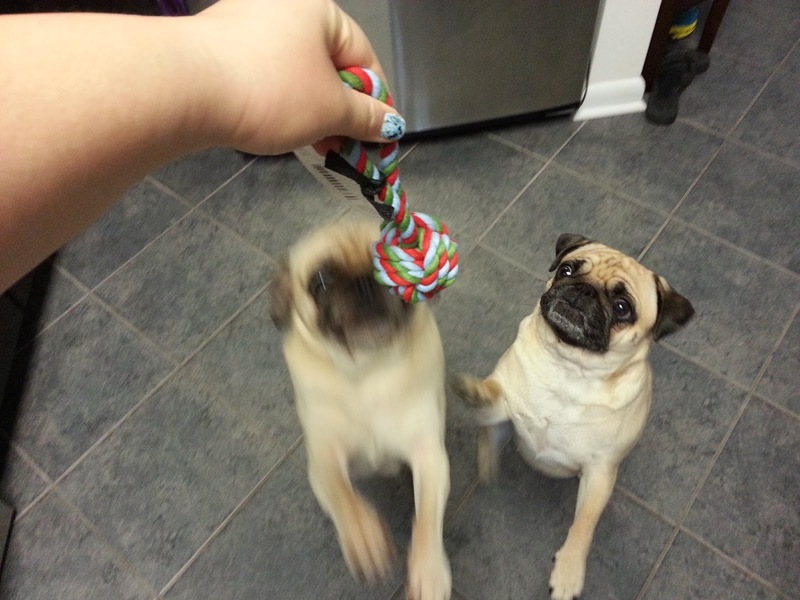 This toy is supposed to be good for playing tug of war with your dog. It's made from machine washable cotton and earth-friendly dyes. Wigzi pocket bone - This is a rubber toy shaped like a bone with holes on both ends where you can stuff treats. This is made in the U.S. and is dishwasher safe. It doesn't smell like rubber and is a bit bouncy. 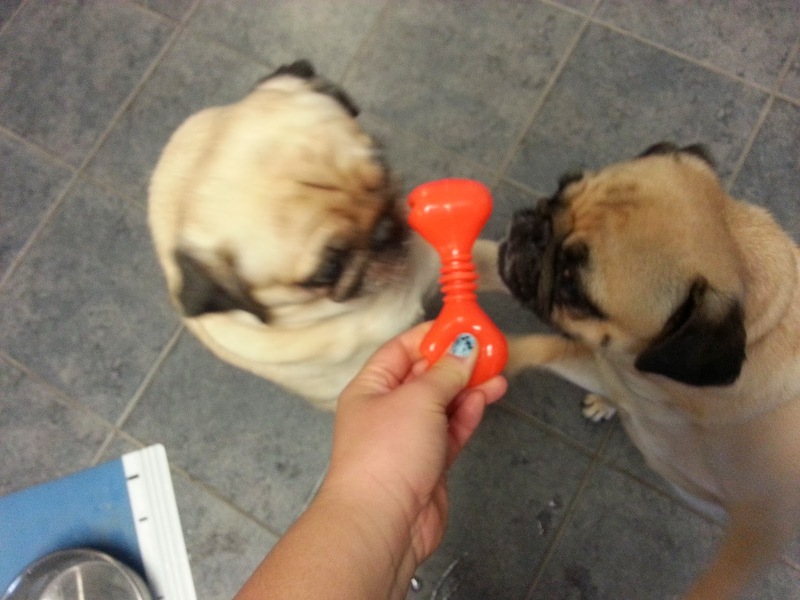 It looks like a great treat dispensing toy, but I don't use these that often since the girls sometimes get into fights over them so they can only get them when they're separated. 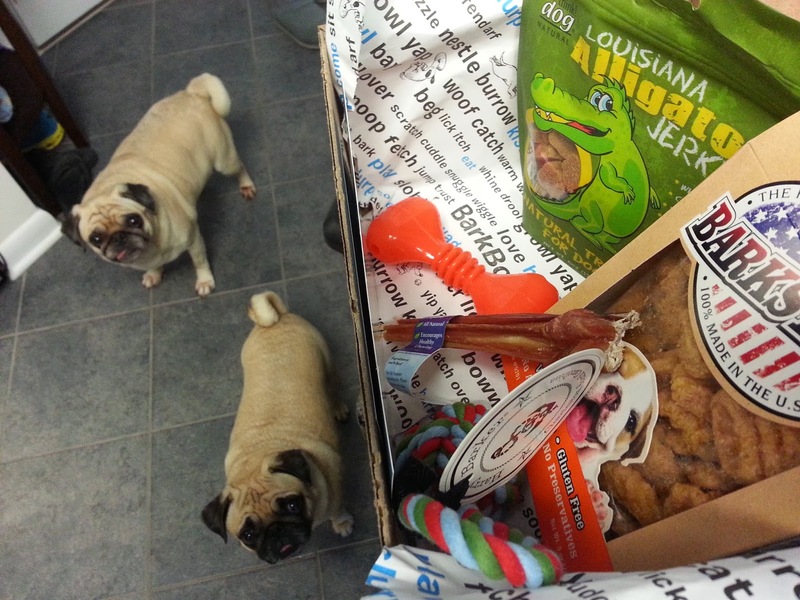 Overall this was a great box - not one of my favorites, but a good all-around box filled with varied treats and toys. BarkBox never disappoints! And now it's time for the photos! 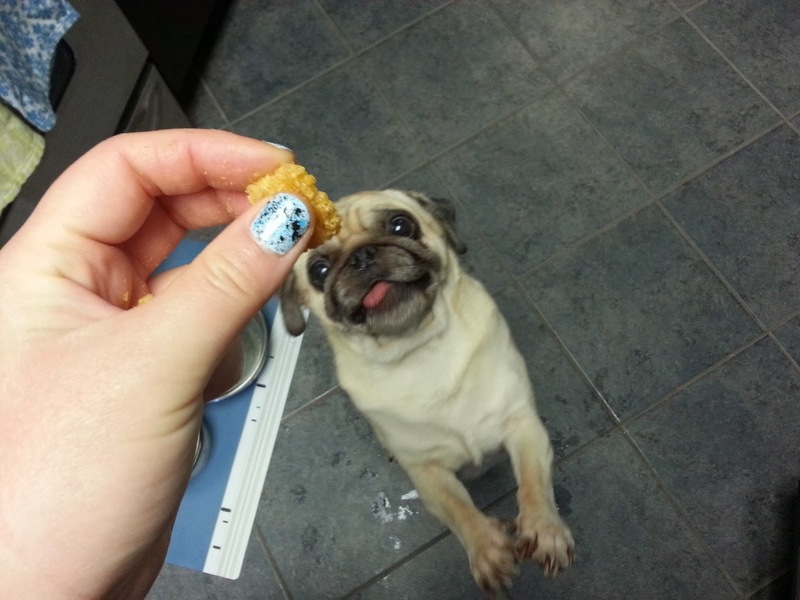 Look at how excited Rosy is! 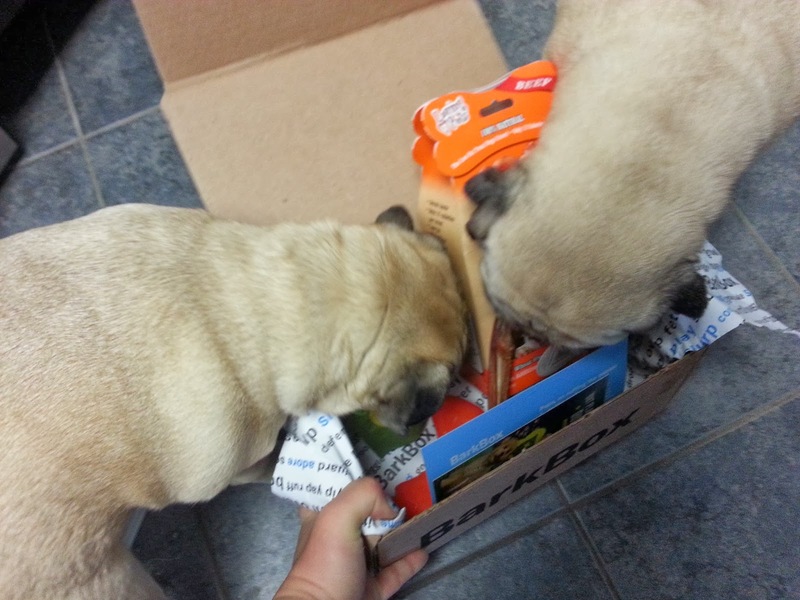 I always let the girls sniff and investigate the box at first, but I quickly had to take it away because Rosy tried stealing the bully stick! 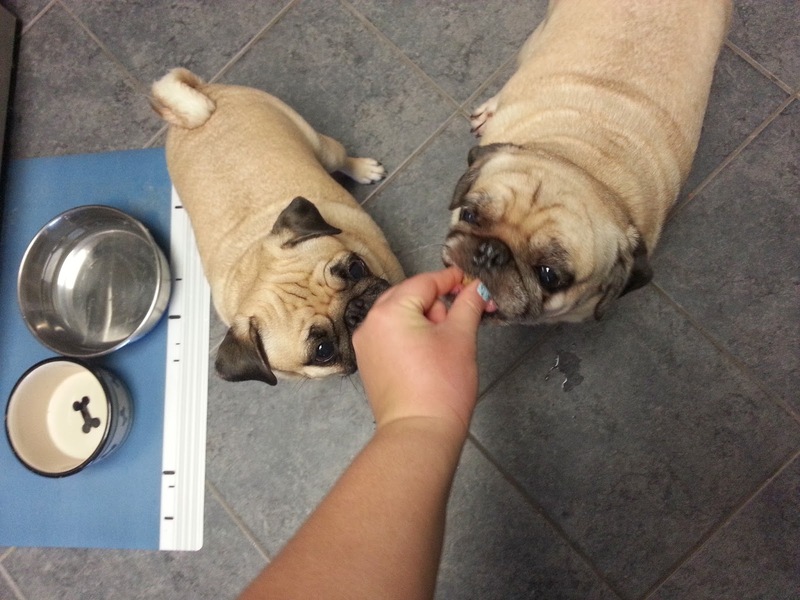 The girls were intrigued by the rope toy but once they realized it wasn't a treat they ignored it. 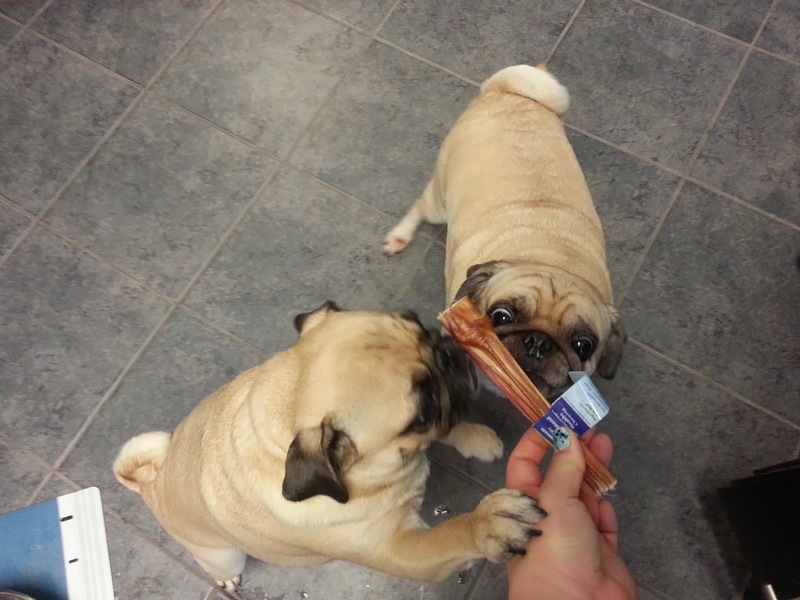 They know that their BarkBox always has at least one delicious treat in it! 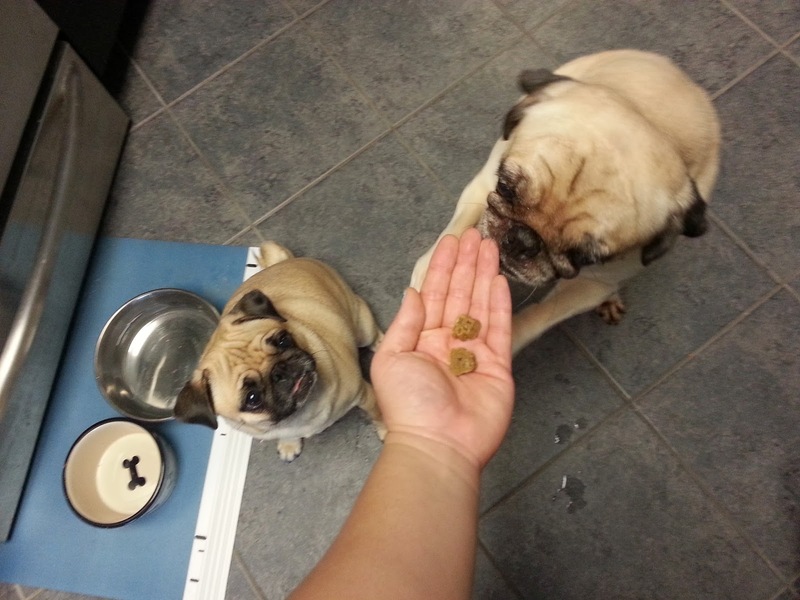 But then I broke out the bully stick and the girls went bananas! Uh oh, someone tried to sneak a bite! 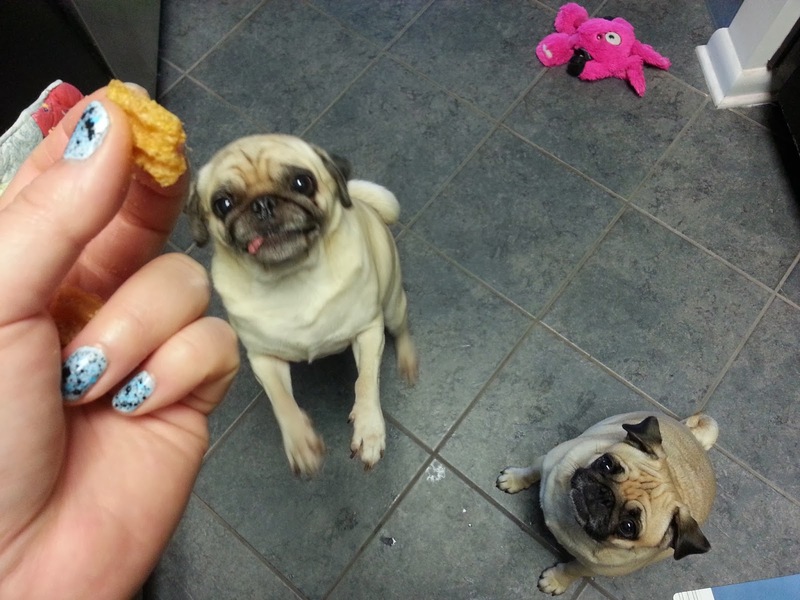 These treats are perfectly bite-sized. 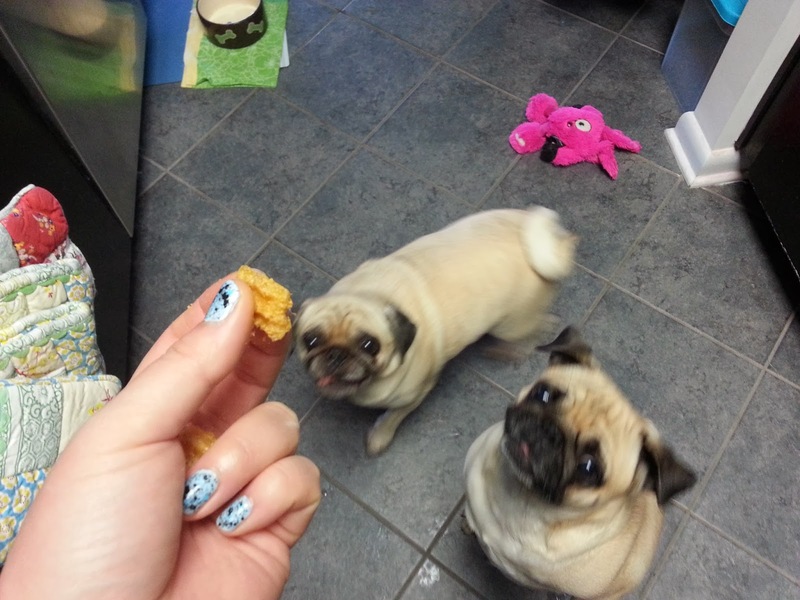 While the krisps were less exotic and stinky, I think the girls loved these more! And I appreciated the lack of stink. 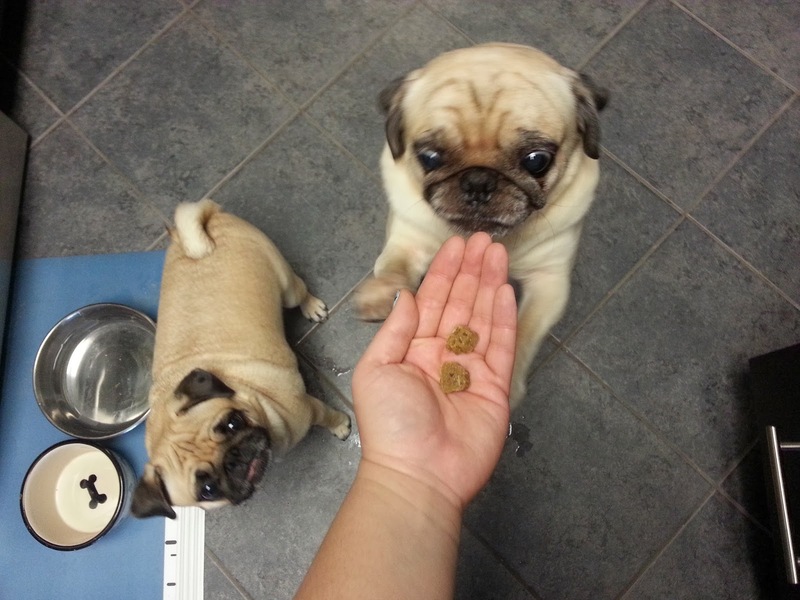 But, I try to keep our treats grain-free so these will just be an occasional treat. So much fun with our BarkBox! "Snort, snort. So when's our next BarkBox? What, a whole month away?! Nooooo!" 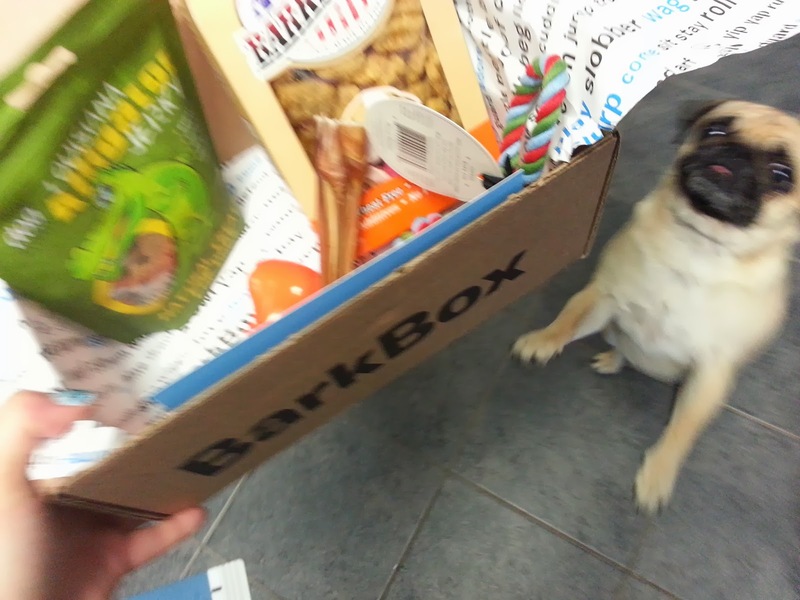 For those interested, you can sign up for a subscription at BarkBox. 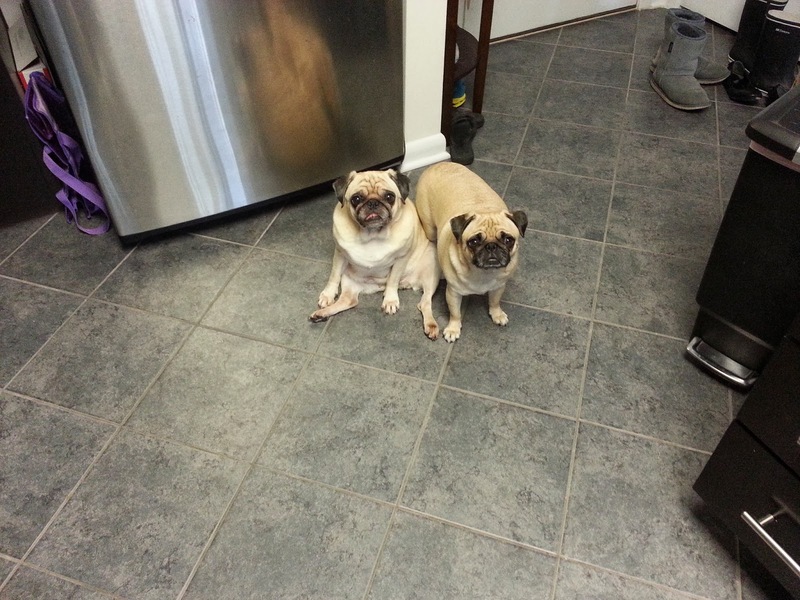 We get the small box, but we know of a lot of other pugs that get the medium.